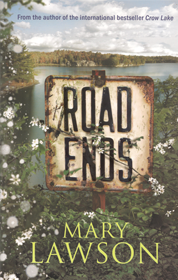 Twenty-one-year-old Megan Cartwright has never been outside Struan, a small town of deep woods and savage winters in the Canadian north. The second eldest in a family of seven brothers, Megan has been better at running the household than her mother since she was ten, but the day comes when she decides she has done enough. 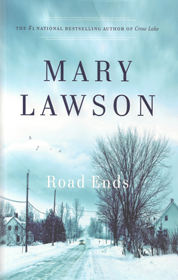 To her family’s astonishment and dismay, Megan leaves home and goes off to London England, to have a life of her own. In the wake of her absence, Megan’s family back in Struan begins to unravel. Edward, her father, struggling to escape the legacy of his own unhappy childhood, keeps to his study and immerses himself in books. Megan’s oldest brother, Tom, traumatised by the death of his best friend, abandons his career as an aeronautical engineer and returns home to drive Struan’s ancient snowplough. Megan’s mother withdraws to her room, doting on her newborn son. And Adam, Megan’s four-year-old brother, wanders the house alone. 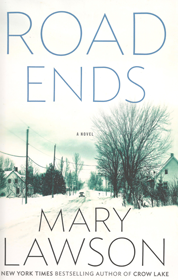 Taking us from the silver rush in Northern Ontario in the early 1900s to swinging London in the 1960s, Road Ends is a story about the intricacies and anguish of family life, the push and pull of responsibility and individual desire, the way we can face tragedy and, in time, hope to start again.